Order your Sharks Shirt today and show your team spirit! Choose between royal blue, black, white, or grey T-shirts. 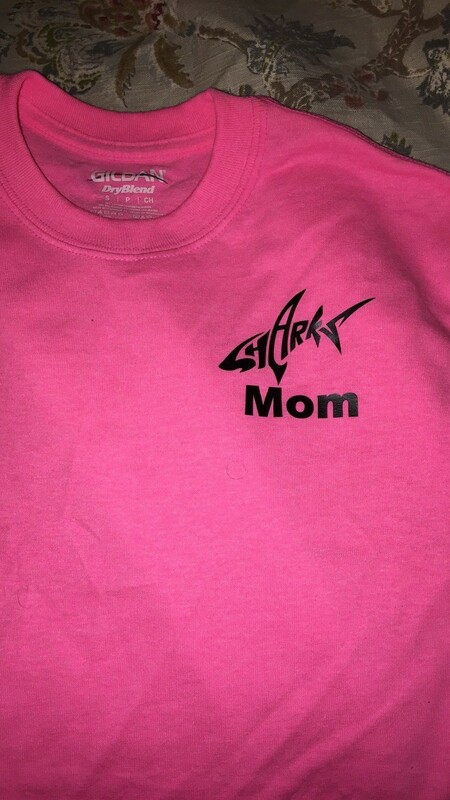 Personalize with sharks logo and / or another line of personalization! Custom Shirts available, just e-mail!